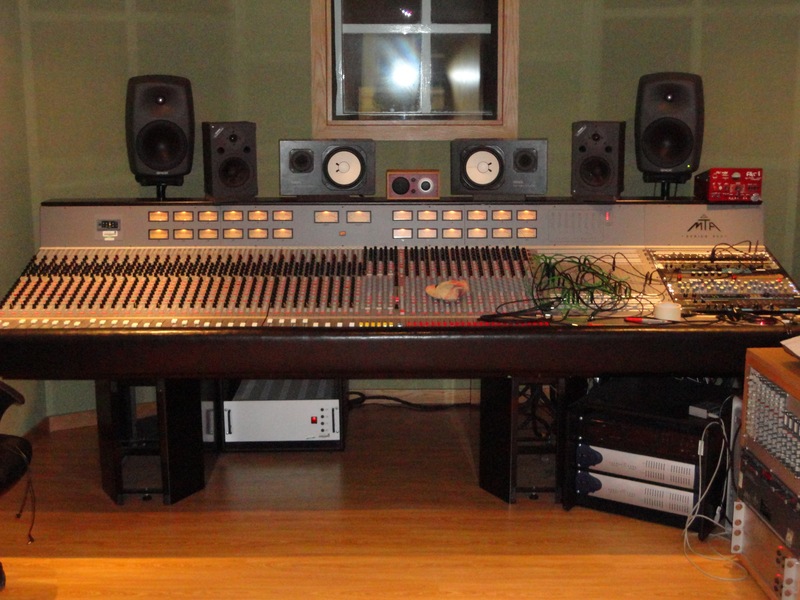 32 Channel MTA Series 980 Split Recording Console. Based on the Trident Series 80C Split Console and designed by Malcolm Toft Associates in the 90's. There is a 4 band 'sweep' EQ on all 32 input channels, the 3 echo returns and on the monitor section. There are 8 auxes on all input channels and 6 on the monitor section. This was the same type of desk used by Radiohead and Nigel Godrich when recording "OK Computer".